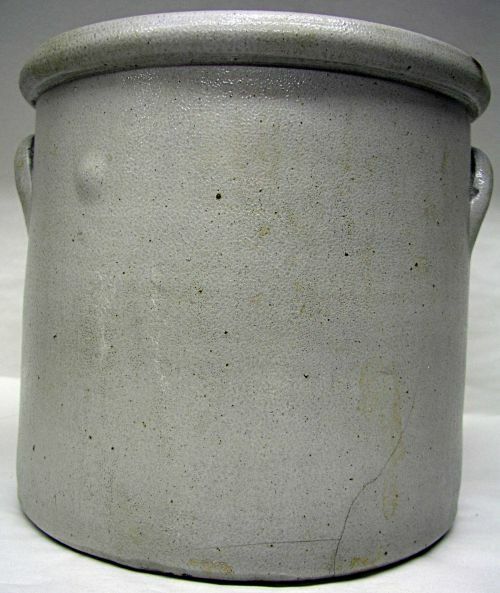 John D. Wahl Antiques - 3 Gallon Norton Parrot Stoneware Crock Marlborough Mass. 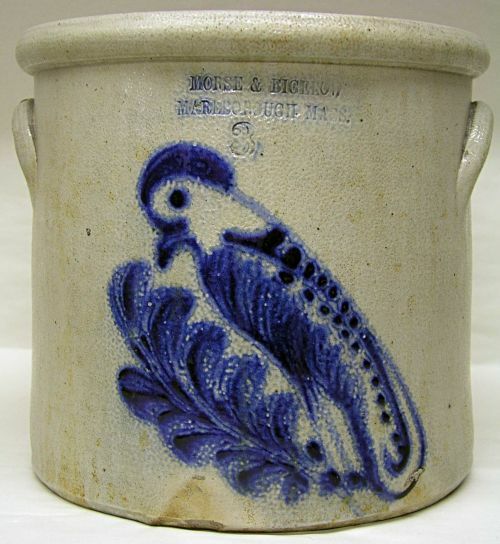 3 Gallon Norton Parrot Stoneware Crock Marlborough Mass. 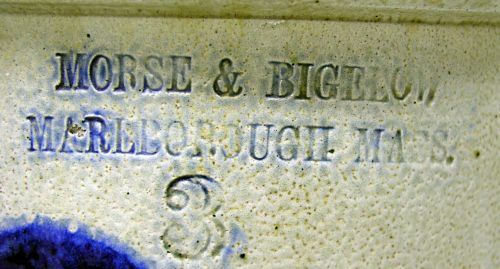 3 Gallon Stoneware grocery crock most likely done by the Norton Wocester pottery for Morse & Bigelow. 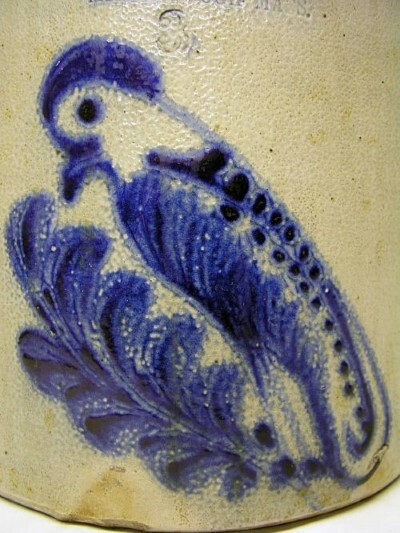 Has the typical bright blue Norton Parrot. Overall very good condition with some minor rust spots and a very tight line on the back side. Dimensions: Measures 10 1/4" tall by 11" across the top and 10 3/4" across the base.